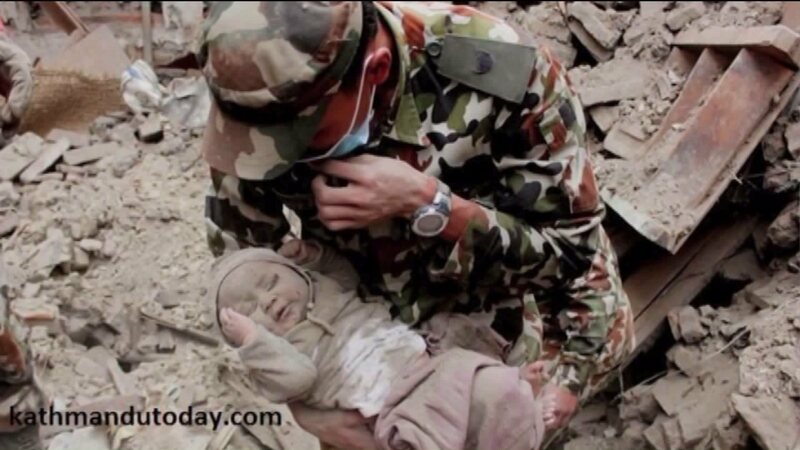 A 4-month-old baby rescued from the Nepal earthquake disaster – 22 hours after the earthquake struck. An amazing moment for the mother. An unforgettably rewarding moment for the soldiers who rescued him. Could you imagine the moment? We see pictures and read the reports but can you really feel the emotional explosion of gratitude, love, relief, surprise, and compassion? To be there, in that moment, would be a sacred holy space. A place of human and divine connectedness. Phycologists and cultural gurus are watching and studying the effects of our digital distractions. Their research is showing that even though we are physically present, we are not emotionally, intellectually, or spiritually present. Not fully present means we are somewhere else. Absent minded. Not satisfied with who is in front of us. We miss the beautiful blossoming moment unfolding before us just begging to be enjoyed. Being fully present means being right where you and not somewhere else in mind or spirit. God himself knows what it means to sit in those moments. To be present and enjoy what is right before you. After God creates the universe and humanity, he pauses, looks and drinks in its goodness. I struggle with being fully present. The distractions of digitally posting news and pictures only reveals the disillusionment that somewhere else is better than here and now. Don’t get me wrong, I love modern digital tools but I think I can miss the simply profound moments set before me that change me for the better. I remember hearing the last breath of a dear family member, the cry of a new baby girl, the eyes of a bride starring into mine, the voice of a child singing a worship song, a daughter’s tears of joy as she shares her engagement news, the sacredness of a church community praying and taking communion, the late night laughter of friends sharing stories, the touch of a child’s hand reaching for mine….do I need to continue? Years ago I snapped the photo of the boy in a brick room in the rural parts of Nairobi, Kenya. I am grateful to have taken the photo but I missed the moment. I always wonder what he was thinking and how I could have embraced a fully present moment. What would I have learned about his life? Next time your feel a digital distraction coming on, stop. Ask yourself, “Is the digital allurement to somewhere else better than than the real moment?” Listen, lean in, be a fully present participant in what the Father is painting for you.